To Mrs E. Zurbriggen From Brownie Troop 27. 5/2/48 "TO MY MOTHER" Most of all the beautiful things in life Come by two's, three's, dozens & hundreds Plenty of roses, stars, sunsets, rainbows: Brothers, Sisters, Aunts And Cousins, But only one MOTHER in all the world. 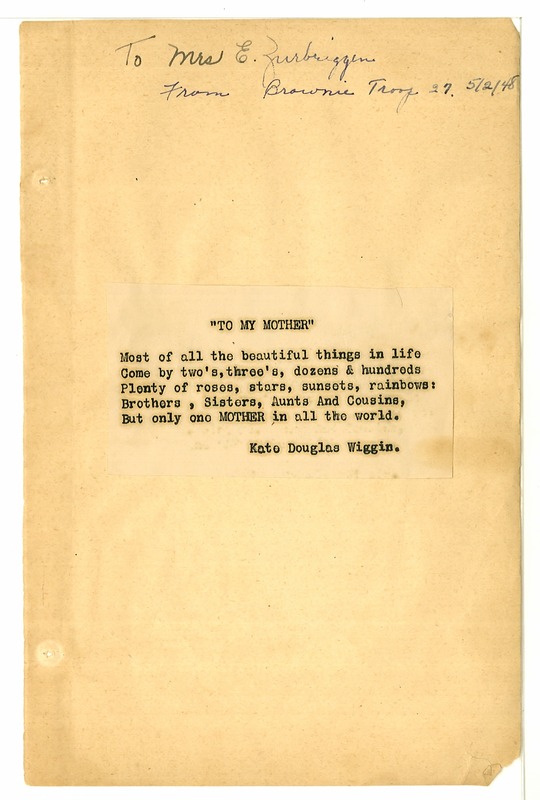 Kate Douglas Wiggin.